HUDCO faces a potential loss of Rs 628.47 crore and a wasteful expenditure of Rs 134.73 crore was caused by a subsidiary of ONGC Videsh Limited. The Comptroller and Auditor General (CAG) has made as many as 57 individual observations relating to 36 Central Public Sector Enterprises (CPSEs), with a total financial implication of audit observations of Rs 8,375.13 crore. The individual audit observations in the report are broadly pertaining to non-compliance with rules, directives, procedure, terms and conditions of the contract etc. involving Rs 1,613.09 crore. Non-safeguarding of financial interest of organisations involving Rs 3,016.19 crore and defective/deficient planning involving Rs 3,700.72 crore as well as inadequate/deficient monitoring involving Rs 45.13 crore. The report also contains a chapter on ‘Irregularities in payment of entitlements and recoveries & corrections/rectifications by CPSEs at the instance of audit. It is about (a) undue benefit of Rs 64.38 crore extended by four CPSEs to their executives in the form of shift allowances, (b) excess payment of performance related pay of Rs 44.12 crore by two CPSEs to their employees, (c) recoveries of Rs 66.28 crore made by thirteen CPSEs at the instance of audit, and (iv) corrections/rectifications carried out by four CPSEs at the instance of audit. The CAG report states that HUDCO declined loan to M/s Nagarjuna Oil Corporation Limited in February 2007 since its internal guidelines did not permit sanction of loan to agencies if their previous track record of repayment was not good and concerns existed regarding the long term viability of the project. In July 2007, HUDCO sanctioned a loan to the same borrower/promoter though their earlier concerns remained un-addressed. The promoter failed to bring in required equity and the refinery project did not achieve financial closure, resulting in stoppage of the project in December 2011. Efforts to bring in international and domestic strategic investors also did not fructify. The estimated project cost increased manifold from Rs 4,790 crore in February 2007 to Rs 18,830 crore in August 2015. The project viability is doubtful at present and HUDCO faces a potential loss of Rs 628.47 crore (principal Rs 349.88 crore and interest Rs 278.59 crore up to 30 June 2016). It mentions about the failure in submitting Operational Safety Documents by ONGC Campos Limitada (subsidiary of ONGC Videsh Limited) prior to 90 days of starting of drilling, as required, led to idling of rig for 118 days and consequently a wasteful expenditure of Rs 134.73 crore was incurred during June to October 2011. 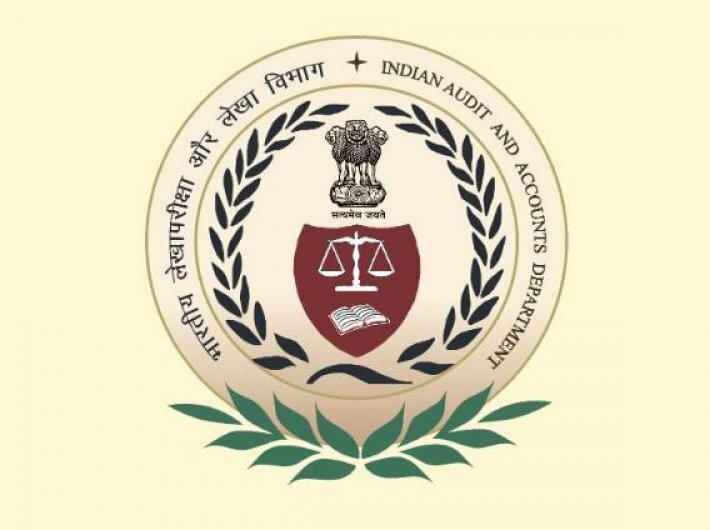 An audit paragraph on “System of collection and accounting of freight and other charges from agents of The Shipping Corporation of India Limited (SCI)” was included in the report that highlighted failure of the Company in ensuring opening of separate collection and disbursement accounts by agents, timely submission of voyage accounts and furnishing of bank guarantee. The report goes on to say that weighbridges installed by Steel Authority of India Limited (SAIL) at its Meghahatuburu and Kiriburu Iron Ore Mines remained non-functional because these weighbridges were either not as per Railway specifications or were derecognised by the Railways. SAIL continued to load wagons/ rakes at the mines on estimation basis and the company had to incur expenditure on penalty/idle freight on over/under loading of iron ores amounting to Rs 101.97 crore during the period from 2011-12 to 2015-16. Bokaro Steel Plant (BSL) and Rourkela Steel Plant (RSP) of Steel Authority of India Limited produce flat saleable steel product in their rolling mills. The process involves production of slabs which are used as input for producing flat steel. The optimum requirement of slabs for continuous operation of downstream rolling mills is 7 to 15 days stock of slabs. Deficient production planning led to accumulation of slab stock causing avoidable stock carrying cost of Rs 391 crore. The State Trading Corporation of India Limited (STC) signed (4 April 2005) a tripartite agreement with M/s. Global Steel Works International Inc. (GSWII) and GSHL (Umbrella Company of GSWII) for supply of raw material to steel plant of GSWII in Philippines. Non-adherence to trading guidelines of STC, fixing of exposure limit at an exorbitantly higher side, ignoring the defunct status of the plant, failure to exercise effective control through collateral management agency over the material lying in the plant of GSWII, failure to sell material on cash and carry basis (as approved by Board of Directors), avoidable conciliation agreement with the party, etc., resulted in blockage of funds amounting to Rs 2,101.45 crore including interest of Rs 1,129.15 crore and additional trade margin of Rs 220.99 crore. The CAG report said that right of collection of user fee on National Highways developed by National Highways Authority of India (NHAI) under engineering, procurement, and construction (EPC) mode had been entrusted to NHAI by the Government. Audit noticed that NHAI could not realise toll at various toll plazas due to delay in approval and issue of fee notification (Rs 301.80 crore), delay in start of toll operations (Rs 204.87 crore), delay in revision of user fee rates (Rs 141.25 crore) and other procedural lapses in issue of fee notification (Rs 7.72 crore). Audit further noticed loss of toll revenue due to inefficient bidding process for engagement of toll collecting agencies (Rs 26.35 crore).